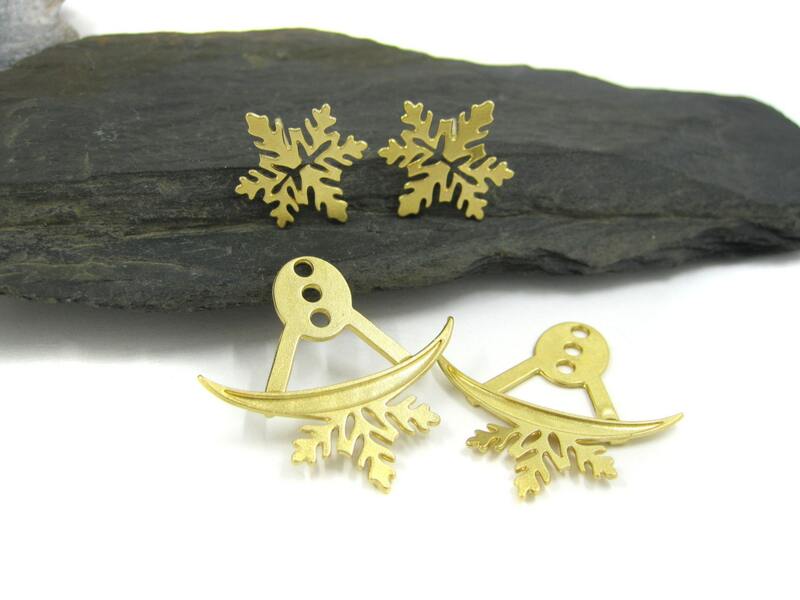 ✦ A pair of snowflake double-sided earrings made of 14k deep gold plated over brass. ↔ Stud width: 1.5 cm \ 0.6"
Eco-friendly: please inform me if i can wrap more then one item in 1 gift box. let's save some trees together!